Do you look too long before you leap? Having trouble singing your soul song? Need more faith in your own psychic senses? 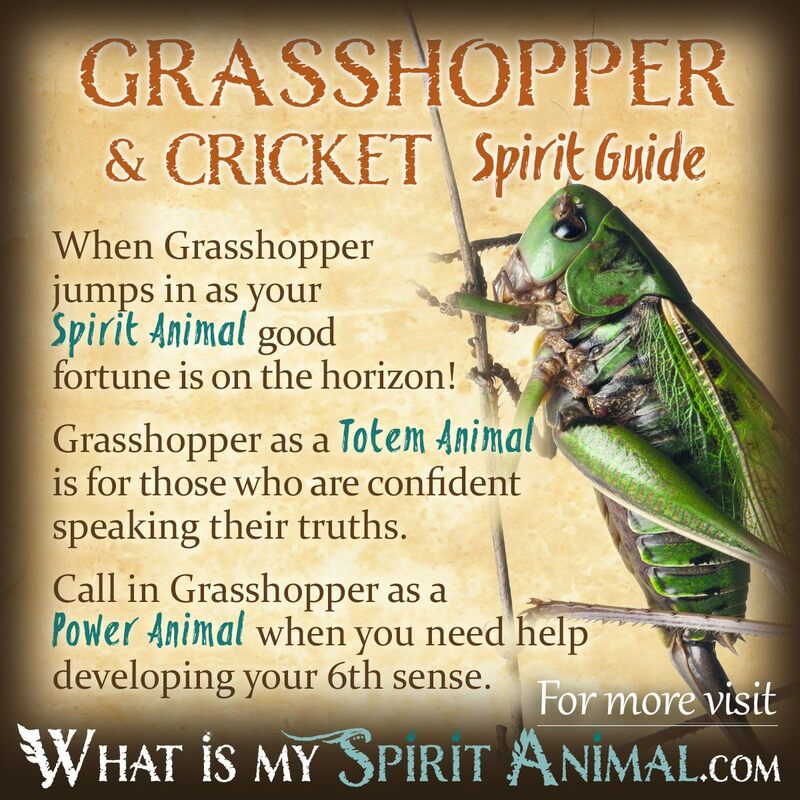 Cricket and Grasshopper as a Spirit, Totem, and Power Animal can help! Cricket and Grasshopper teaches you keep true to your unique voice and whether you should jump in a situation or remain grounded. 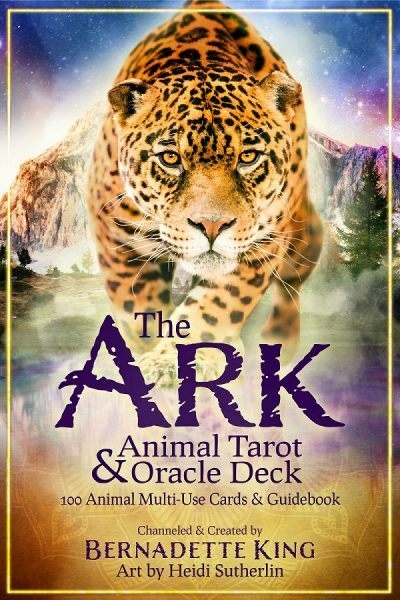 Delve deeply in Cricket and Grasshopper symbolism and meaning to find out how this animal spirit guide can inspire, stir, and motivate you. Crickets and Grasshoppers belong to the order of Orthoptera. Other than a few physical differences, they are mostly interchangeable in terms of animal symbolism. Nearly universally having a Cricket or Grasshopper appear at home or at work is regarded as good fortune. One should never harm a Cricket or Grasshopper. To do so causes bad luck. When Cricket or Grasshopper hops into your life joy and happiness are soon to follow. Crickets have long antennas that hone in on their environment. This provides Cricket Spirit with the symbolism of sensitivity and intuitiveness. Though Grasshoppers have shorter antennae, they get the job done. Additionally Cricket and Grasshopper may represent our higher senses – that which connects us to the Angels, Devas and the divine. As we develop that connection we can also learn to trust our instincts more deeply. Nonetheless, Crickets live on the grass and ground, keeping them centered. Here we can see why Cricket & Grasshopper meanings include the balance of spiritual with mundane matters. The Cricket’s song is one for mating. If Cricket is coming to you regularly it may be a sign to evaluate your relationship. Are you happy? Do you appreciate your partner and give them pleasure? Joy awaits if you use Cricket energy wisely. It is interesting that Crickets stop singing when there are predators or other problems. This may be why people throughout Europe and Asia wear Cricket amulets and talismans for protection against the evil eye and improved luck. Another symbolic value for Cricket is finding your soul song – the music that empowers you to speak your truth with conviction. Cricket is a great advocate for those who find themselves swallowing words, teaching them to open up with clarity. Cricket also provides healing energy, often in the form of music. In examining Cricket & Grasshopper symbolism and meanings, we cannot overlook modern medias influence. We have the character of Jiminy Cricket whose message is simple and powerful: Let your conscience be your guide. If we work with Cricket we must be honest with ourselves and realistic in our expectations. Scruples matter. Then there is the often quoted “Patience young grasshopper”. This is from the 1970’s TV show – “Kung Fu”. Master Po referred to his young student, Kwai Chang Caine, as “Grasshopper”. So, in modern society, ‘Grasshopper’ has come to symbolize a young person who is just learning a new craft or starting out on a new path or journey. When Cricket or Grasshopper chooses to be your Spirit Animal get ready for new awakenings and big leaps of faith! Cricket and Grasshopper appear to let you know that now is the time to sharpen and believe in your intuition. Have your dreams been ones of predicting the future? Are you more sensitive than usual? Cricket and Grasshopper hop into your awareness to let you know this is natural. You can believe what you’re seeing and feeling. While all this is very exciting, Cricket & Grasshopper also remind you to stay grounded during your adventure. Don’t just fly off on fanciful thoughts. Keep your head, heart and spirit in symmetry. Psychic predictions and messages can be very real. But they require experience and discernment before acting upon them. Perhaps it is the right time to seek a teacher of metaphysics who can help you better understand how to tap into your own psychic power. Crickets & Grasshoppers are notorious for their ‘nature symphonies’. Like Frogs, Grasshoppers & Crickets are not afraid to sing their unique soul song. When these powerful insects show up in your Spirit Animal Meditation or your awareness the time to speak your truth and sing your own song has arrived. If this intimidates you, try learning Shamanic breathwork. We can talk because air is pushed up from the lungs and into a voice box or larynx which has vocal cords that vibrate to produce your voice. Grasshoppers have a tympanic organ on their front legs. As they breathe, this organ activates. Shamanic breathwork can help you ‘get the wind up under your sails’ and set your voice free! Those born with a Cricket or Grasshopper Totem Animal are naturally insightful, sensitive and vocal. Like the Cricket and Grasshopper, you may develop musical aptitude with voice (or other sounds). Like your Cricket counterpart you’re a bit of a night owl who easily jumps over obstacles in order to reach a goal. When you become quiet, however, something is amiss. Check your environment for other signs to determine the trouble. Cricket & Grasshopper people do not tolerate fools well. However someone honestly needing guidance will get it from you honestly and directly. In this aspect you are a messenger from other spirits or guides so guard your message carefully and deliver it with honor. With Cricket and Grasshopper as your Totem Animal, you don’t plod along in life. You make giant leaps forward and usually end up head and shoulders above others with the same goals. While that’s truly awesome, Grasshoppers and Crickets are also associated with plagues, chaos, and devastation. Be sure that your desire to be successful and get what you want in life does not cause others harm or, worse, irreparable damage. Invoke Cricket & Grasshopper energy and medicine when your proverbial antenna are out of whack and need an adjustment. Cricket & Grasshopper as animal spirit guides can also help when it feels like people aren’t understanding what you’re trying to communicate. Calling on Cricket & Grasshopper energy can also help in developing your spiritual senses for efforts like Aura Readings, Chakra Healings, and Energy Healing. In large numbers, these tiny but mighty insects can have a strong impact on the environment. Sometimes this impact is devastating. However, because of their digestive systems, these insects break plant matter down into micro-bits. Without their service to the world, plants would not have access to most of the nutrients in ecosystems. So, Grasshoppers and Crickets are vital to earth’s sustainability. If you’re drawn to Cricket & Grasshopper teachings, you likely are a person who understands that great change can be achieved when we all work together. If you’re responsible for large groups of people, request that the animal spirit world send you Grasshopper and Cricket energy to help you. With their energetic force to support you, getting everyone on the same page and moving forward as a single unit could be much more easily achieved. The movement of Buffalo herds could be predicted by the movement of Crickets. In some legends Cricket appears as a brave, spirited creature who can overcome anything even though its small in stature. As with many other cultures, the Southern tribes see Cricket as a harbinger of luck. Seeing a Cricket in your dream means it’s time to listen to your gut for inner guidance. Don’t let all the noise of daily life keep you from those instincts that help you avoid life’s potholes. Cricket may have alternative meanings depending on what it’s doing. For example, a Cricket jumping is like a green light saying move forward confidently. Learn more about Cricket Spirit by reading Cricket Dream Meaning & Symbolism or read up on Grasshopper as Dream Messenger in Grasshopper Dream Meaning on WhatIsMySpiritAnimal.com! Cricket symbolism features itself heavily in China. As early as the Tang Dynasty people adored singing Crickets so much that they began keeping them as pets. Giving a Cricket to someone equated to wishing them success and a happy family. The Chinese associate Cricket with crops. When Crickets start appearing, they know it’s time to sew crops, and when they leave it’s time to harvest. Cricket also represents the season of Summer or Autumn depending on the region. I have been going through some major medical upheavings, and as a result, feeling desperate for pain relief and nurturing. Last night I was crying out to Universe for aid and guidance, and in that moment of surrender I suddenly heard the strongest cricket song I’d ever heard, coming from my yoga studio. It was piercing the sound, so much so that I darted up to find the little creature. There it was, singing away atop a crate of yoga mats. I placed a jar next to it and it hopped right in. When I went to free it there was yet another cricket waiting on the outside of the door. I’m guessing to make its way in? So I placed them next to each other and things got real quiet. I was able to fall asleep right after all of the tiny festivities. This morning I can’t help but feel like what an incredible experience that was. Feeling ever so grateful and aligned today, like source actually responded to my cries. Thank you for sharing this story medicine, truly moving and helpful.